We now offer a way to automatically grant 1 or more complimentary tickets to the order after the reserved seat ticket to their cart. 4. Click Continue. 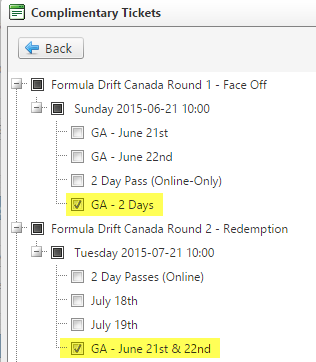 Finally you can review which GA tickets are now linked as complimentary tickets. You can add/remove from this screen.